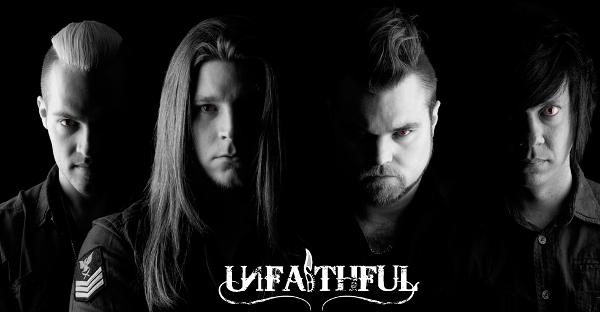 Swedish Metal act UNFAITHFUL will release their first full-length album "Street Fighter" on November 10th through Mighty Music/Target. After playing three times in a row on Sweden Rock Festival UNFAITHFUL released a music video for the track "Psychward" in 2011, directed by Thomas Tjäder (In Flames, At the Gates, Soilwork etc.). The video was highly acclaimed from music media in both print and radio in the world, and even played on Sirius throughout North America. "Street Fighter" is a metallic guitar-oriented album that incorporates sophisticated technical elements, creating a unique sound with intense energy that will grab the listener from the first note, and it deals with the daily problems that very few people tries to solve. "Vegas Baby" from this album was already released as a single and the title-track is written as an anti-bullying song in a very extreme way. “How far are you prepared to go to make the bullying stop?” UNFAITHFUL will donate 10 SEK per the sold CD to the anti-bullying organisation Friends (www.friends.se). "Street Fighter" was recorded at Top Floor Studios in Gothenburg by Jakob Herrman (Europe, Hurts, Mustasch etc.) and Martin Forslund at Sound Palace Studios in Karlshamn, and was mixed and mastered by Johan Blomström at Sound Palace Studios.